ZIMMER AUSTRIA is dedicated to provide the best possible service! Committed to our credo – First in Quality and First in Service – we are constantly endeavouring to offer the highest quality on the market. Through the decades, our customers rely on our proven technologies and our technical know-how. Furthermore, we are proud to ensure the best possible service for our customers by our highly qualified and experienced service technicians, solving every appearing issue. 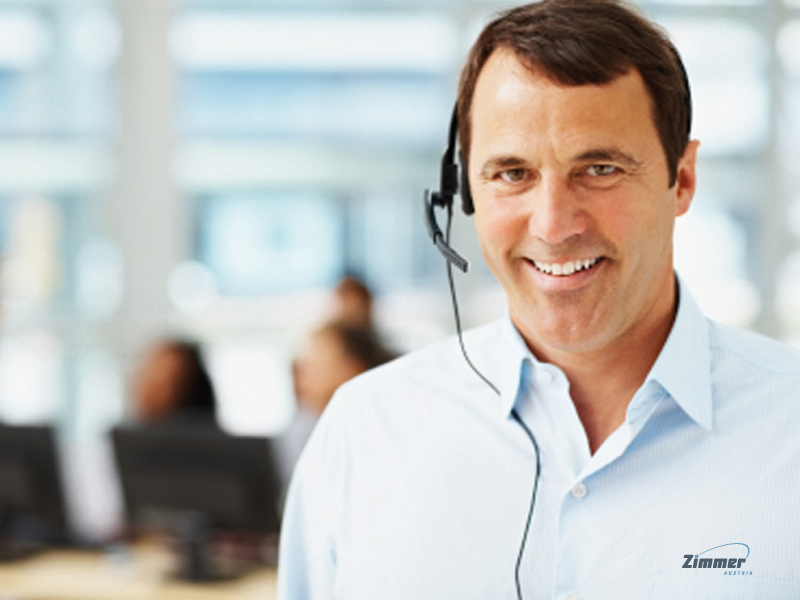 Our Customer Service Center will assist you in applying our technologies and products. We are also able to provide any spare part needed! Please do not hesitate to contact us directly! For any specific information, please feel free to contact our Sales or Service Team directly.